Have you ever wondered what’s the most efficient way to grow food, everybody knows that using a greenhouse extends the growing season and provides a much more efficient growing environment than simply growing crops outside. But there are a huge variety of different greenhouse designs that can be made in different shapes, sizes, materials, etc, and then there are techniques to maintain temperature, increase crop density, reduce pests and improve plant health, some of which work and some that don’t. This article will look at all the design requirements of a home greenhouse, analyze some existing structures to see how efficient they are and then design a greenhouse of theoretical maximum efficiency. Ease of construction – A home greenhouse will probably be assembled by the owner who won’t have access to professional fabrication equipment like, welders, milling machines, CNC cutting equipment and heavy duty saws. Although this doesn’t make much difference to the overall efficiency of the finished greenhouse this article is aimed at the DIY home builder so any design that requires industrial fabrication would be a none starter however efficient the end product. So the first requirement is that the greenhouse can be built using basic DIY tools. Cost effectiveness – Again cost doesn’t affect the finished efficiency but it would play a part in choice over similarly efficient designs, no one wants to pay twice as much for something that is 10% more efficient. Strength – No one wants to have there brand new greenhouse blow down in the first gust of wind that passes but other than that strength isn’t a huge concern unless you are in a high wind/snowfall location, when it could mean the difference between using your greenhouse for many years or have it blown down or crushed under snow a year or two after it was built. Trying to establish the strength of some greenhouses can also be a bit tricky because no greenhouse kit comes with wind/snow load data so for this requirement we’ll just use a best guess for strength. Light transmission – One of the essential requirements for plant growth is light, so the amount of light available to plants is very important, this however doesn’t mean that more light is better all the time. Plants can photosynthesize light up to a certain point then any extra light and heat after that is wasted. So an efficient greenhouse should make the most use of light in the morning and evening but not midday and also make most use of light in spring and autumn but not mid summer. Thermal efficiency – This is another tricky problem because we need to retain as much heat as possible in the winter but get rid of excess heat in summer. To compare different greenhouses we’ll take the area and thermal efficiency of the cover material and the area of ventilation available. Lifespan – Obviously the longer a building lasts the more efficient its construction is, however when we talk about the working lifespan of a greenhouse, longer isn’t always better. The average person moves house every 7 years and many greenhouses are left abandoned, unused or torn down after only a few years. So for this requirement we are looking for a structure that will last at lease 7 years without maintenance. Flexibility – We looked at lifespan and discovered that greenhouse are often left unused when people move house, this final requirement looks at the flexibility of a structure which can make a difference to how it’s used, if it can be dismantled easily or customized to your own requirements. A structure that can be adapted to another use or taken away and built somewhere else is much more efficient that one that is permanent and very difficult to dismantle or repurpose. Now that we have our 7 requirements for an efficient greenhouse we can build a table to compare some currently available greenhouse structures. 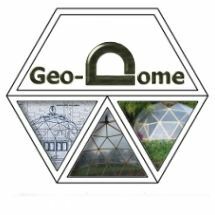 Geo-Dome (11) – The geo-dome came out the winner, which probably isn’t a surprise because nothing can beat a dome for strength or thermal efficiency. Flexibility is also excellent because it can be repurposed or recovered in a different material which none of the others can be. In the other categories the dome scored well and was never last. Poly Tunnel (16) – A close second to the geo-dome, top in the build, cost and light categories. Winning the light category because modern poly tunnels have hi tech covers that maximize light transmission and there are fewer spars to cast shadows. Twin-wall greenhouse (17) – not winning any category but coming second in a few the twin-wall only came last on light, twin-wall polycarbonate only lets about 66% of the outside light through. Glass greenhouse (23) – last place for the glass greenhouse for ease of construction, cost, thermal efficiency and strength, but winning the lifespan category. We could improve some of these scores by using toughened glass, it would then beat a poly tunnel for strength but it makes more sense to try and improve the best performer, so we’ll take the geo-dome and try to maximize its efficiency in all the categories. OK lets look at the area in which the dome excels and the ones that we need to improve. 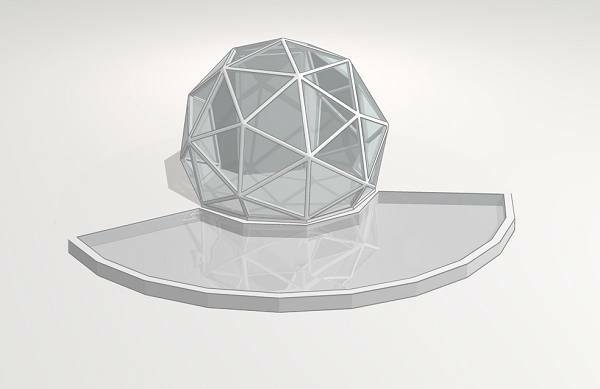 Geo-domes have never been thought of as simple structures to build but if we reduce the number of different parts to a minimum and prefabricate as much as possible then I think we could be top of this category. We should also be able to top this category because at least in theory domes have less surface area and are much stronger than the other greenhouses. We could reduce the thickness of materials because of the natural strength advantage to hopefully beat all the other structures. 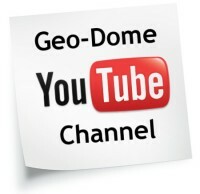 The Geo-dome was top in this category so as long as we don’t mess with the strength too much this shouldn’t change. We can’t get rid of the triangle frames so it’s not possible to beat the poly-tunnel for light transmission, we can try to think of another way to get more light into the dome, especially in the Autumn Spring seasons. Because a dome has less surface area, thermal efficiency is always going to be better if we can match the thermal resistance in the cover material of any alternative structure. If we can devise a way to balance the variation in temperature from a sunny day or cold night in winter then we can produce the best possible environment for plants. 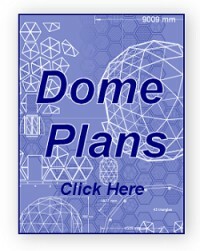 If we can improve on the flexibility and make the dome more useful then great, the dome already tops this category so it’s just a case of maintaining the current configuration. The final design is a low part-count Geo-Dome with a water collection pool, ground source heating system and a reflective North wall. If we run through the categories again you will see that there are marked improvements in most categories, so at least in theory this should be the most efficient greenhouse design possible. 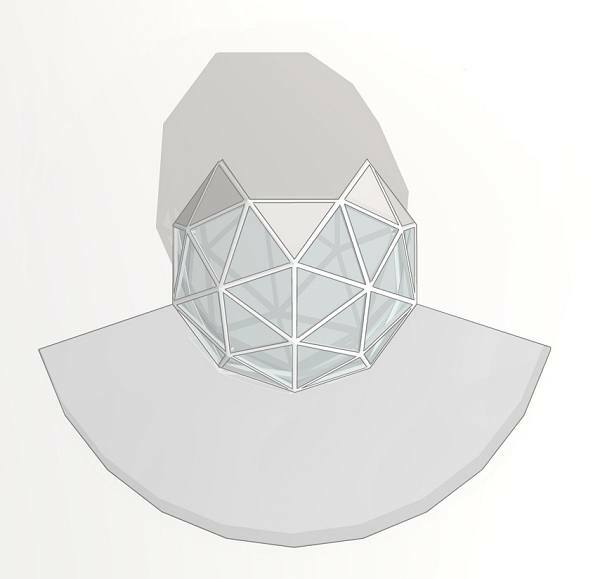 Construction: This Dome only has 2 different triangle frames, I do have another design with 2 unique parts that would work just as well but these two would be the only geo-dome structures with only two unique parts. Cost: Probably the most cost effective dome possible, coming very close to a poly-tunnel for cost per square meter but with way more strength and features. Strength: The dome structure hasn’t been compromised at all in this design so it would still keep its top position in the rankings. Even though the cover material is polythene the wind and snow load capabilities far exceed the poly-tunnel and even the solid covered greenhouses would blow away before the dome. This makes the dome suitable for high wind and snow load areas like North Scotland. Light transmission: This is where the water collection pool comes in, although it is useful as a water storage system that isn’t its main purpose. The main reason for having a large area of water on the south side of the greenhouse is to reflect light into the greenhouse. This works best when the sunlight is low in the sky, morning, evening and spring or Autumn when the sun doesn’t rise far in the sky. This is the perfect light boosting system because it increases the light levels when the greenhouse most needs it but doesn’t overheat the greenhouse in mid summer. Midday in summer the pool will reflect the light straight up in the air and not into the greenhouse. Finally to increase the light levels even more the north side of the greenhouse is insulated and reflective so light coming from the solar pool that doesn’t hit plant foliage gets a second chance when it’s reflected. Thermal efficiency: We know that the dome has the least amount of surface area of all the greenhouses so it will be the most efficient as far as reducing heat loss through the cover, however I’ve added a few more features that boost the thermal performance even further. You may be familiar with using a water tank as a heat store, I did a study and found that although the water tank will hold some heat it will cool down overnight but not return to its start temperature because there isn’t enough heat on a winters day to warm it up for the next night so the greenhouse gradually becomes colder and colder. The answer is to use ground source heat, apart from not wasting valuable greenhouse space for a water tank ground source heat won’t deplete like a water tank will. At 3 meters deep the ground temperature remains constant, the deeper you go the higher this temperature. All you have to do is dig two holes as deep as you can, a small fan will draw cold air into the smaller intake pipe (cold air naturally wants to sink) then the ground will warm the air which will naturally rise up through the large exit duct. To further increase the thermal efficiency another layer of polythene can be fixed to the inside the timber frame, creating a double glazed cover. 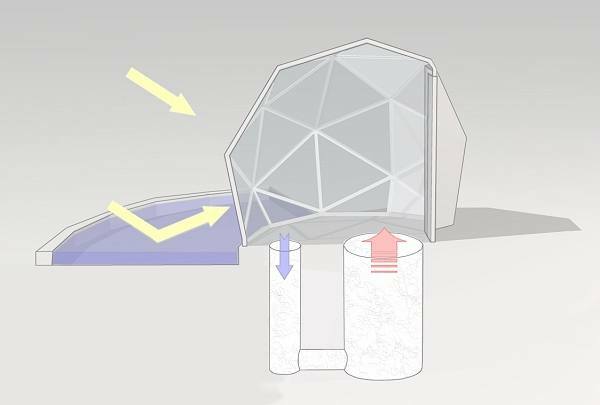 Flexibility: With this system the possibilities are only limited by your imagination, you could use double glazed toughened glass, keep fish in the solar pool, build a very small or very large version, have a rotary sprinkler system or rotating beds so all the plants get equal light exposure. None of which you can do in any of the other shaped structures so it looks like we have found the theoretical most efficient greenhouse design possible.... Unless you can think of a better one?